A threat to your precious data is everywhere regardless of platform or device you are using to access it. Smartphones are also the target of hackers who are releasing malicious codes for different mobile platforms. 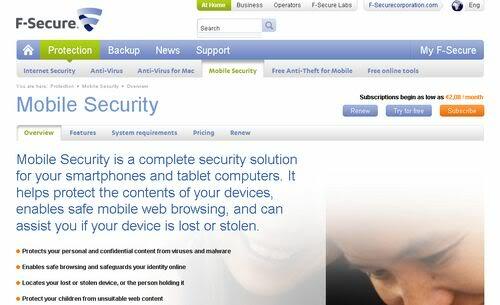 It's a good strategy to preemptively install a good antivirus solution for our mobile device to avert any catastrophe. So let's get started and see some of the best antivirus solutions for smartphones. All these solutions are quite easy-to-use and work on an automated basis guarding your mobile devices round the clock without any intervention. These antivirus applications are available for all popular mobile platforms and work seamlessly. Make sure you keep the virus definitions of these applications always up-to-date else they may not be able to protect your device from new and upcoming threats. You can also try out multiple solutions to see which one works best for you. Most of these applications are free-to-use but a paid subscription ensures you get added premium features for better protection. 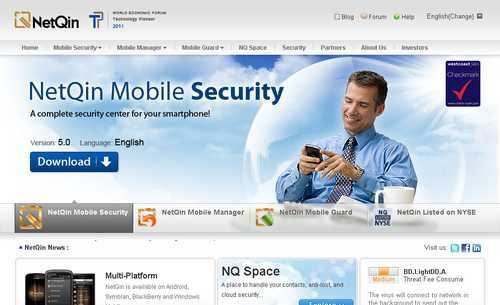 NetQin Mobile Security - It is one of the best smartphone antivirus software with gorgeous interface and deep scanning virus engine. Pro members get premium support with additional features. It's light on the system with a real-time shield. 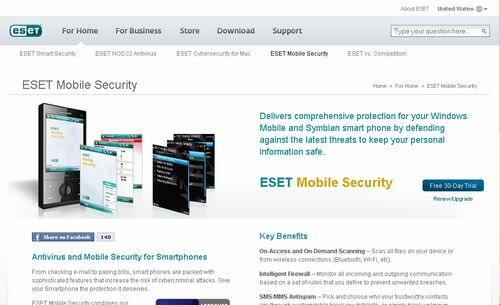 ESET Mobile Security - ESET is known to deliver very efficient antivirus solutions. It's available for Android, Windows Phone and Symbian platform. The product includes a firewall and SMS/MMS spam detection system. F-Secure Mobile Antivirus - This excellent mobile antivirus solution is available for Android, Symbian and Windows Mobile platform. Apart from a regular virus scan engine, it also includes a system for safe web browsing to prevent opening any malicious site on your smartphone. 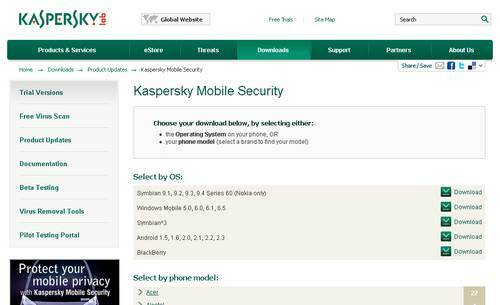 Kaspersky Mobile Security - It is a familiar name for million if users using the desktop version. Its mobile antivirus is available for almost all major platforms supporting a wide range of mobile devices. MobiShield Antivirus - It's a lightweight and free mobile antivirus solution with real-time shield. Although it doesn't appear that it scans the system deeply (all system files), it’s good enough for an average user. 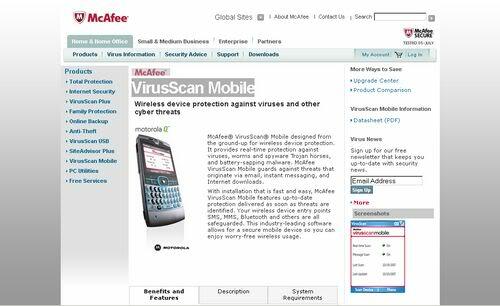 McAfee VirusScan Mobile - It's a comprehensive antivirus suite for smartphones protecting all entry points (mobile internet, bluetooth, WiFi) from malicious software. It is yet another mobile antivirus having an intuitive and gorgeous interface. 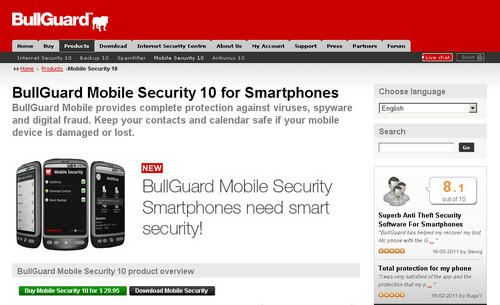 BullGuard Mobile Security - It's available for wide range of mobile devices and provides all-around protection from malware and viruses through deep scanning virus engine and real-time shield. Definitely worth a try.